Carson, D. A. 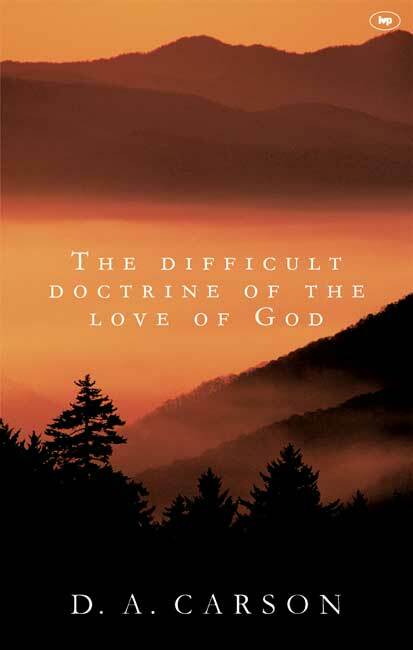 The Difficult Doctrine of the Love of God. Nottingham: Inter-Varsity Press, 2000. Does God love people who will go to hell? If so, how can they go to hell? If God loves people who will go to hell the same way he loves me, how can his love for me be seen as special and comforting? Once we try to answer these questions with the bumper sticker theology of “Smile, God loves you,” we begin to see this doctrine as a difficult doctrine indeed. Carson’s handling of this topic is precise, direct, scholarly, and warm-hearted. First, he describes five senses in which Scripture speaks of God’s love. Next, he addresses the definition of love as rooted in the character of God himself. The final two chapters address God’s love in relation first to his sovereignty, and then in relation to his wrath. First, Carson is gifted as a thinker, theologian, and writer. You’d be hard pressed to find a more gifted scholar in Christianity in our day. The warmth of his love for God is therefore powerful and penetrating. I find reading him beneficial regardless of the topic simply as instruction in clear thinking, precise theology, calculated writing, and simple devotion to God. Second, I was helped by Carson’s handling of this very difficult subject. He does not shy away from the fact that God cannot possibly love the unbeliever in the same way he loves his own and still be God. Yet, he is unashamed to proclaim God’s love to all people. This precision, yet balance, is much needed in our theological landscape in Australia. Third, his typology of God’s love in chapter one is highly beneficial to biblical interpretation, especially in evangelistic contexts. Understanding that God speaks of love in different ways in different contexts, as we ourselves do in modern English, is crucial to exegetical/expositional precision. Carson is obdurate in his insistence on contextual interpretation. I struggled to come to terms with Carson’s fifth category in chapter one. He argues “God’s love is sometimes said to be directed toward his own people in a provisional or conditional way—conditional, that is, on obedience” (p. 21). Considering the broadly supported error of sanctification by works, rather than by grace, in our day, I would have found a much more substantial explanation of this point very helpful. This is a fairly brief book, but not a shallow or insignificant one. In one sense I’d encourage every believer to read it. In another sense, until one has reached a point in the development of their theology where the questions in the introduction are pressing, the value of this book will probably be felt to a limited degree. 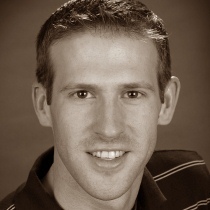 Hi Jason, does the book cover the topic of universalism? And how a certain view of God’s love might lead someone to believe in that doctrine? Hey JM, If I recall correctly, it does address universalism explicitly. It definitely addresses the topic in the context of the doctrine of salvation which addresses universalism indirectly.